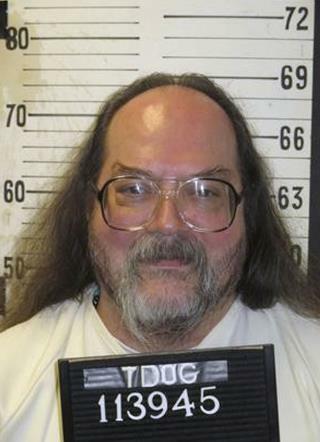 (Newser) – Billy Ray Irick was executed with a lethal injection Thursday night, some 33 years after he raped and murdered Paula Dyer, a 7-year-old girl he was supposed to be babysitting. The 59-year-old was the first person executed in Tennessee since 2009 and the seventh since 1961, the Tennessean reports. "I just want to say I'm really sorry. And that ... that's it," Irick said before receiving an injection of midazolam at 7:26pm to render him unconscious, followed by vecuronium bromide and potassium chloride to stop his heart. The AP reports that Irick began snoring within a minute. He later gasped and choked, with his face turning dark purple soon before he was pronounced dead at 7:48pm. The only person in this story I feel anything for is the little girl. I won't mention the name of the filth that killed her. "...then we have stopped being a civilized nation and accepted barbarism," So be it. For what he did? He should have been set on fire. Hope his final moments were terrifying fear culminating in miserable agony for eternity...he deserved to suffer.